These aren’t your ordinary black bean burgers. 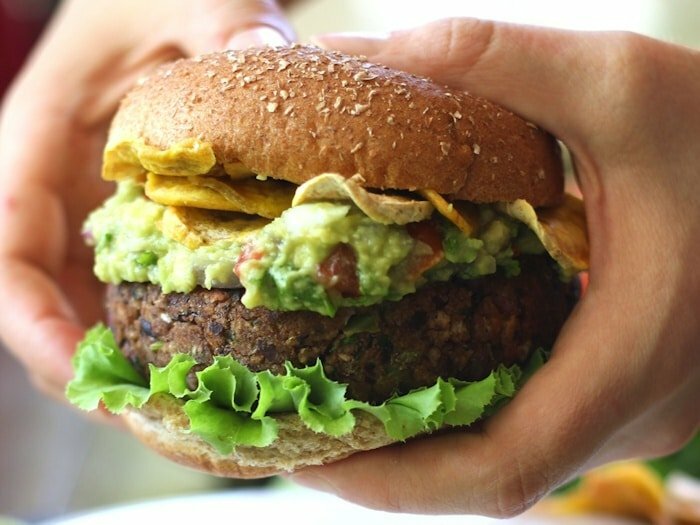 These savory, spicy and smoky vegan patties are topped with creamy guacamole and crispy baked plantain chips for an explosion of burger flavors and deliciousness! Black bean burgers are so reliable, aren’t they? As a 20+ year vegetarian, they’ve always been there for me. A black bean burger was the first meatless burger I attempted to make at home, back in my late teens. When the cook at a restaurant I worked at found out I was a vegetarian, he instructed me to go home, mash up a can of black beans with some onions, garlic, breadcrumbs and spices, and cook it up as a burger. It worked and I was thoroughly impressed. Since that day black bean burgers have always been there for me. If nothing else, I’ve got a can of black beans in the pantry and some onions on the counter. These burgers are so not reliable. I mean, I never have plantains hanging around my kitchen. That’s okay though. They were so worth it. The plantain chips are very addictive. The recipe makes just enough chips for about four burgers with maybe a chip or two on the side. I suggest you double the chip portion of the recipe though, because if you’re anything like me, most of them will be gone by the time you get to assembling the burgers. The burgers themselves were the most flavorful black bean burgers I’ve ever had, and as you might have guessed at this point, I’ve had a lot of black bean burgers. Plenty of spices, liquid smoke and jalapeño peppers are the key ingredients I have to thank for that. Finally, guacamole. I figured out just a short time ago that guacamole’s home is on a sandwich. 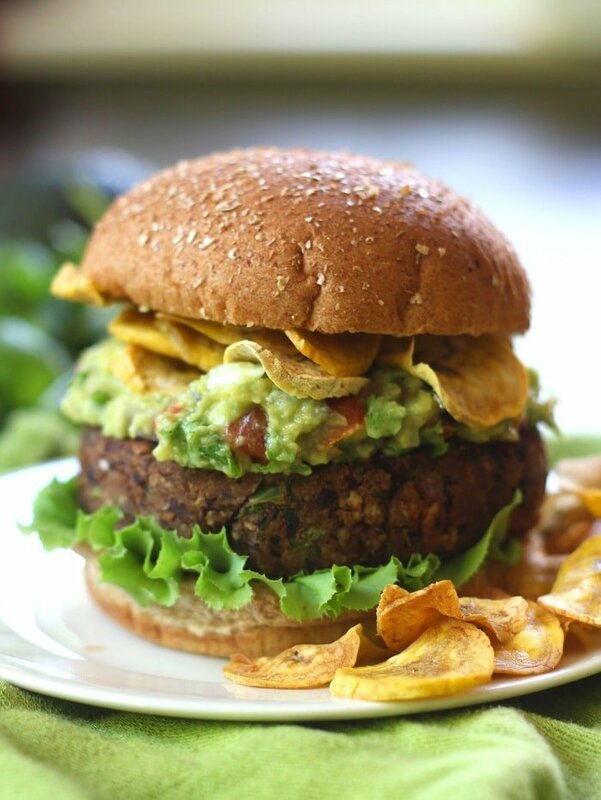 Guacamole especially belongs on a smokey southwestern-inspired spicy burger, like this one, and it especially, especially belongs with plantain chips. It’s like eating a burger and chips and dips all rolled into one. These aren't your ordinary black bean burgers. 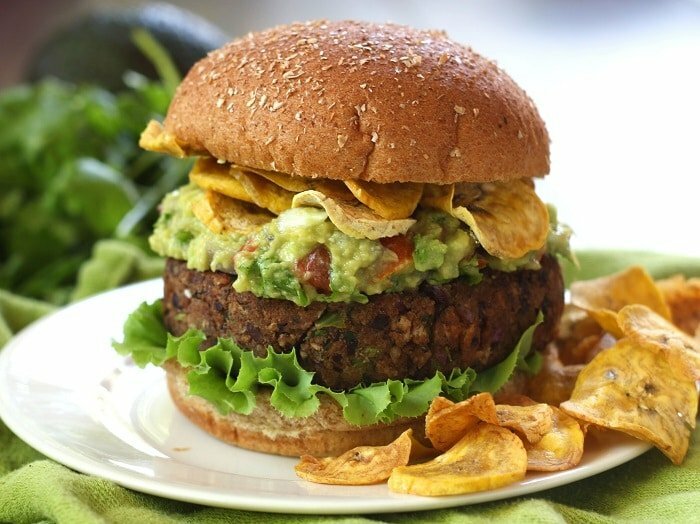 These savory, spicy and smoky vegan patties are topped with creamy guacamole and crispy baked plantain chips for an explosion of burger flavors and deliciousness. Preheat oven to 400º. Line 1 or 2 baking sheets with parchment. Arrange plantain slices on bakings sheet(s) and brush with oil. Sprinkle generously with salt. Bake until crisp and lightly browned, about 15 minutes, flipping halfway through. Place onion, garlic and jalapeño into food processor bowl and pulse a few times to chop. Add beans, panko, cilantro, lime juice, liquid smoke, cumin, chili powder, chipolte chili powder, salt and pepper. Pulse again until ingredinents are well blended. Shape mixture into 4 patties. Working in batches if needed, coat a large skillet with oil and place over medium heat. Arrange patties in skillet and cook until lightly browned on bottoms, about 5 minutes. Flip and cook until browned on opposite sides, about 5 minutes more. 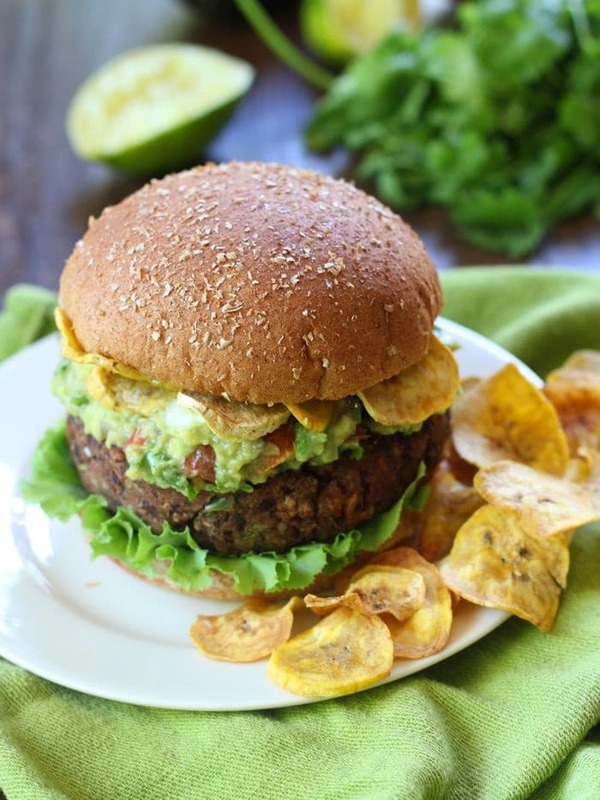 Stuff buns with burgers and top with lettuce, guacamole and plantain chips. Make sure to get a very green, unripe plantain. This will ensure it crisps up nicely and doesn't stick during baking. 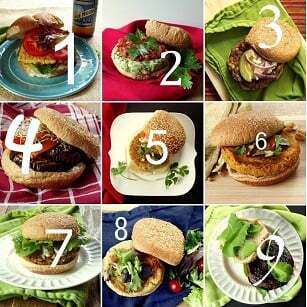 One can never have too many black bean burger recipes! They are a staple in our house too and I love how you can change up the flavor profile with just a few ingredient tweaks. These look amazing! I love how thick and hearty they are! I make fried plantain chips a lot, never tried baked version sure going to try it , thanks for sharing, by the way, black bean burger sounds delicious. Is this spicy I was looking to make this as a dinner for me and my 1 year old? Didn’t want it to be too spicy for him with the jalapeño and chili powder. what’s the protein and calorie nutritional value please? Thanks. They look good. Thank you! I don’t normally calculate nutrition info for my recipes, but you can try this site if you’d like to take a crack at it.